When read, the plot sounds pretty exciting and adding Steven Spielberg in as director, who knows how to tell a good story, you’d think this would be an on-the-edge-of-the-seat thriller. Unfortunately, the opposite is the case. It’s nearly two hours of complete boredom. I couldn’t believe how bad the script was. Most of it is just endless dialogue amongst the characters about whether they will publish the secret papers or not. 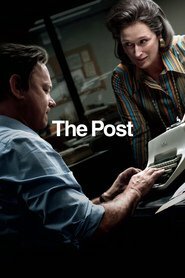 The actual person (Daniel Ellsberg) who took the risks to steal the papers and leak them is marginalised in the movie with little time given to his story. We are never even told what happened to him! There is almost zero suspense and it’s pretty obvious how this one ends — even if you don’t know it from a knowledge of the history. Speaking of history, there is almost no context provided for the events in the story. Unless a viewer had some idea of the Vietnam War, it would be hard to see the point of all this dialogue that goes on. We’re not really told what is in the secret papers that are so significant. And, to cap it all off, Meryl Streep and Tom Hanks don’t seem to put much into their roles. The whole thing is bland and uncompelling. A dismal failure of a movie.